When you think of chiropractic care, you probably envision spinal adjustments or extremity joint adjustments, and while the foundation of chiropractic care is the chiropractic adjustment, massage therapy is also beneficial in helping to reduce pain and speed healing. When massage therapy and chiropractic adjustments are used together, their benefits are multiplied. Massage helps loosen ligaments and tendons that, when tight, can make the joints stiff and painful. Massage reduces overall muscle soreness, and it helps improve circulation throughout the body. Chiropractic adjustments can help ensure proper function of the joints and reduce inflammation and pain around the joint. When these two techniques are combined, ADJUSTMENTS LAST LONGER, giving the body more time to heal, and a noticeable reduction of pain. 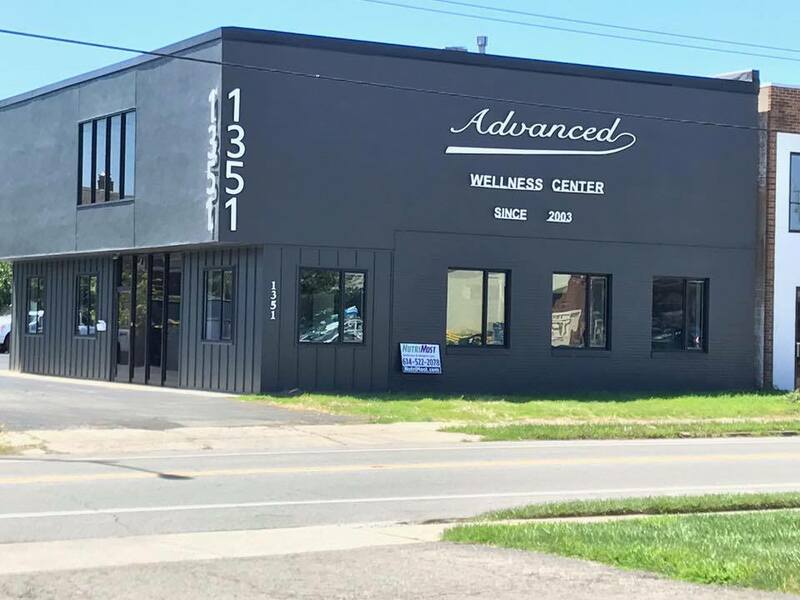 Advanced Wellness Center offers massage and chiropractic care as part of a complete wellness package for healing all types of back and extremity joint injuries. We offer a variety of massages ranging from deep tissue, sports, infant, relaxation, full body or targeted massage. Carissa and Bobbie are available at our offices for massage. Be sure to schedule a massage at your next adjustment to maximize your spinal wellness. Tis the season for throwing away our good eating habits! For many of us, this is the case! So much of our memories and traditions are connected to food. How can we honor our commitment to our wellness and still have our favorite Holiday cookie that reminds us of Grandma? 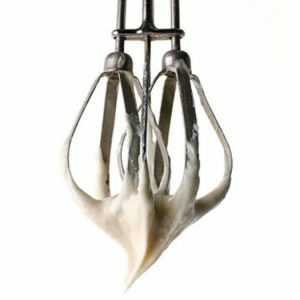 This guide from Fitness Magazine, gives great healthy alternatives to typical baking ingredients. 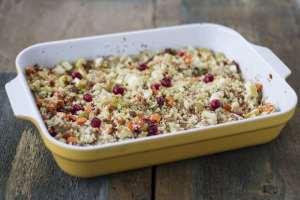 You may need to play with those family recipes to get it just right but, you will be able to adapt your baked goods to honor your traditions and your health! Whether it be low-calorie, low-fat, gluten-free or even Vegan, we got you covered! Share with us your favorite Healthy Baking Recipe on our Facebook Page pinned post that is ALL about satisfying your sweet tooth while managing your wellness. Chiropractic adjustments increase the function of the nervous system. The nervous system is the master system of the body, and when the nervous system is functioning at it’s best, so is the immune system. You might be thinking this is impossible with all of the delicious holiday foods, but you can supplement sugar and gluten filled foods with natural sweeteners, such as Stevia, and all-purpose flour alternatives, such as almond flour and coconut flour. Reducing the use of sugar, artificial sweeteners, and gluten will make digesting food easier on your body and in turn reduce the stress on your immune system. Allow yourself to find a little time for some R n’ R (Rest and Relaxation). 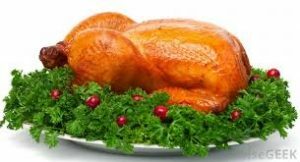 The holidays can be filled with the stress of cooking, shopping and preparing for family gatherings. But, in the midst of the chaos, make sure you take time for yourself and enjoy time with your family and friends. Here are a few traditional recipes with a healthy twist! A popular saying is, “you’re only as old as you think you are”. It is funny how this can be a self-fulfilling prophecy. People who honestly feel this way really do act, and oftentimes look, younger than their age. On the other hand, some people seem to age quickly; they decline mentally and physically just because they think they’re old once they’ve reached a certain age. A recent research project was done to further investigate this saying. In 2014, there was research done in France to look at the relationship between chronological age, subjective age, and changes in memory. The researchers findings were rather eye-opening. Subjective age is how young or old someone feels they are rather than their actual numeric age. Someone in good physical and mental shape may be 60, 70 or 80 years of age numerically, but feels like they aren’t a day over 50. On the other hand, someone dealing with illness or chronic pain may feel like they’re 80 when they’re only 60 years old. The researchers found that saying, thinking, or feeling older than one actually is can cause depression and memory problems. People who feel younger had a slower memory decline and had quicker recall capabilities. This leads us to believe that a person’s subjective age has a lot to do with how they feel physically and mentally. Chiropractic treatments are vital in pain reduction and management. In addition to a healthy diet and active lifestyle, getting regular chiropractic treatments are a great way to stay healthy and make sure that you feel young no matter your chronological age. October is here, it is getting colder, and thanks to the grocery stores promoting Halloween, you are on the 3rd bag of trick or treat candy and beggar’s night hasn’t even happened yet! How do you stay focused on your family’s wellness with all these temptations, while still enjoying the fun that comes with the holiday? 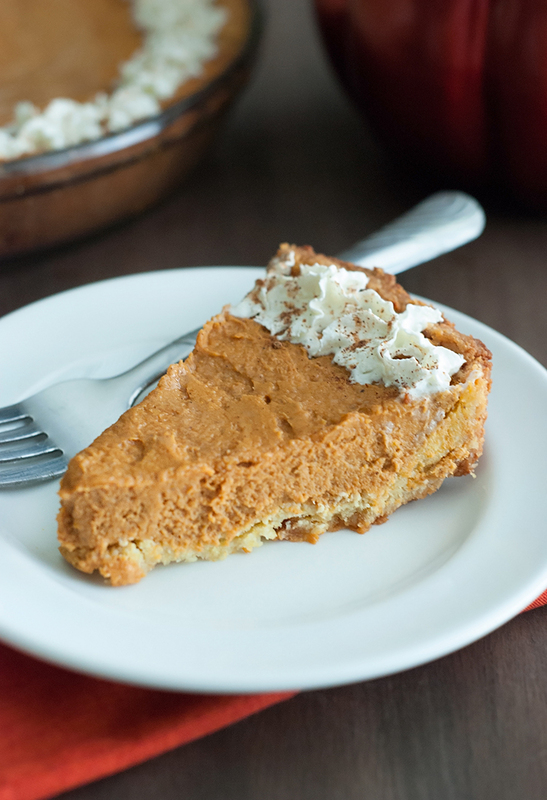 Here are a few tricks to keep you and your family from spending October in a sugar-filled frenzy! When your body is in alignment, everything feels better. You are able to move pain free, and have increased range of motion allowing you to stay active. The more active you are, the more calories you burn. The other benefit to getting adjusted is that it may help in boosting the immune system, problems with metabolism and reducing stress, all of which impact your body’s ability to burn calories. We all crave a treat every once in awhile; when taxing your child for his beggar’s night load, choose candy that will keep your blood sugar from spiking, avoiding the dreaded sugar crash that follows. Candy with a lower glycemic index (milk or dark chocolate, snickers, twix and reeses peanut butter cups) slows down the process of the sugar going into the blood stream, keeping your blood sugar from spiking. Although, not a healthy choice, it is a better choice. Many of you have heard of the Teal Pumpkin Movement, an initiative created to bring awareness to the ever growing food allergies our kids are experiencing. Homes set out a teal pumpkin if they are offering allergen free treats. Some of the best choices are small toys, stickers, pencils, slime, etc…These non-consumables are not only a fun prize for all the ghouls and goblins that come to your door, they are also welcomed by the kids that can’t have much of what is put in their halloween bags. Bonus for you??? NO TEMPTATION!! You have avoided the Halloween aisle all month, you bought toys instead of treats for beggar’s night but 8:00pm on the 31st is here and your child just brought in the BIGGEST BAG OF TREATS you have EVER SEEN!! Don’t panic! Let you and your child pick a few of your favorites and leave the rest out for the Switch Witch. While your child sleeps the Switch Witch will come to your house and take the rest of the candy, leaving behind something special like a toy, money or gift card in its place. There are many organizations that accept Halloween candy donations. In the Columbus Ohio area, you can donate to The Ronald McDonald House of Central Ohio, Operation Gratitude, Operation Buckeye and Operation Shoebox. 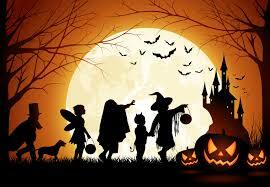 Be safe, Have fun, Enjoy your family, and remember that there is more to Halloween than the Candy!! You may have noticed a new face in the office recently! 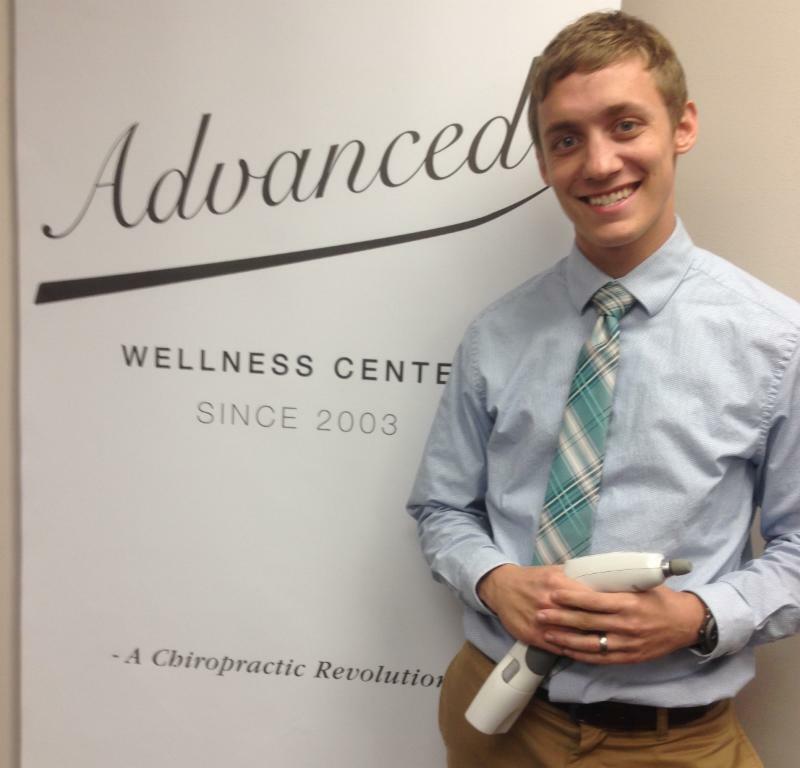 We are THRILLED to have Dr. Nicole as our newest team member at Advanced Wellness Center. 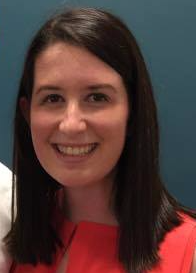 She is currently completing her preceptorship, a program designed to enhance one’s clinical training and gain insight into the daily management of a practice with Dr. Troy. 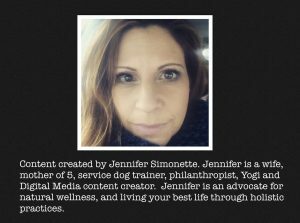 Dr. Nicole is originally from Cincinnati, and while attending The Ohio State University, fell in love with the Columbus area. Dr. Nicole received her undergraduate degree in Nutrition and Community Health and upon completion of her undergraduate degree, continued her studies at Logan University in St. Louis where she earned her Masters in Sports Science and Rehabilitation and will graduate with her Doctorate of Chiropractic in December. Dr. Nicole is excited to call the Columbus area home and to share her passion for Chiropractic and Wellness with the families, kids, and athletes of the community. Please be sure to meet her the next time you are in the office! 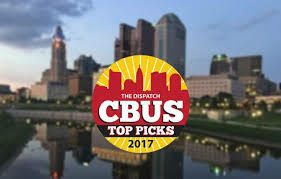 Thanks to your write in votes we are in the running to be THE TOP PICK for Chiropractic Care in Columbus. Please help us share the Chiropractic Revolution with our great city! Voting is simple and you can do it EVERY DAY through Sunday October 22nd. Every time YOU vote you earn a chance to win a $100 Visa Gift Card from The Columbus Dispatch! Join us in celebrating our new location and help us fundraise for the Make-a-Wish foundation of Central Ohio! 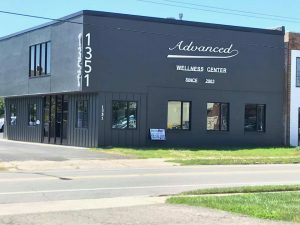 Ribbon Cutting at 1pm followed by Burgers on the grill, Chair Massages and Adjustments (donations will be accepted) Every new patient will be registered in our Raffle for a chance to win prizes. All event donations and a portion of the new patient appointments will go back to the Make-A-Wish Foundation of Central Ohio to help make a child’s wish come true. Click on the link below to let us know we will see you there! 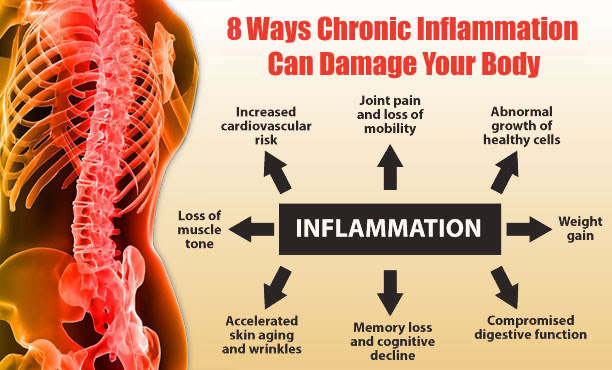 Chronic inflammation is now in the spot light as a major contributor to many of today’s most debilitating conditions. Diabetes, osteoarthritis, cardiovascular disease, cancer, allergies and many autoimmune conditions are all products of chronic inflammation in the body. The unfortunate reality is that most of these conditions are treated by methods that only take away the symptoms and do not address the cause. So where does chronic inflammation typically start and why is it at the root of so many conditions? Inflammation typically starts in the gut with an autoimmune reaction to foreign substances penetrating the intestinal lining. The degree of permeability in the gut is highly sensitive to many hormonal changes in the body, such as cortisol, which is a stress hormone that is constantly high for many Americans that lead taxing lifestyles. Many of us also eat highly inflammatory foods such as processed foods, commercial meats, and farmed fish. These foods are inflammatory because they contain linoleic acid, which is converted into arachadonic acid in the body and then into prostaglandin E2 – an eicosanoid associated with pain. When we eat inflammatory foods in an overstressed state, we give toxins, bacteria, and undigested foods an invitation to pass through the intestinal wall into the blood stream and force our immune system to work around the clock. With the immune system constantly under pressure, it becomes overused, and the body responds with more inflammation to help with the fight. This viscous cycle can result in achy joints, foggy brain, fatigue, organ damage, and any number of other serious conditions. Fortunately, there are many ways to assist the body to reduce its inflammatory markers and help it heal from the inside out. Not only does chiropractic care help the body heal itself by allowing the nervous system to operate at its most optimal capacity, it also will help diminish several inflammatory cytokines helping reduce inflammation all over the body. In a study of 21 participants with lower back pain, 9 chiropractic treatments were shown to normalize several inflammatory mediators, namely IL-6 and CRP. No other forms of treatment were administered during the testing period. Our team of chiropractors at the Symmetry Health Centers in Alameda and Oakland have helped thousands eliminate pain and reduce inflammation. Contains the essential fatty acid gamma-linolenic acid (GLA). Avoid foods that are high in saturated fats and trans fats, as well as foods with a high glycemic index. A Mediterranean-style diet that incorporates olive oil, fruits and vegetables, nuts, beans and whole grains is thought to act as a natural anti-inflammatory. A good diet helps to maintain a healthy body weight. It is recommended to avoid or limit alcohol, tobacco, sugar and refined carbs. Regular Exercise keeps your body moving and joints lubricated, your muscles toned and your energy level high. Those who exercise regularly are more likely to heal faster from injuries and less likely to develop chronic inflammation. Several studies have shown that sleep deprivation can have an impact on inflammation and even increase it. A study in 2006 concluded that sleep loss alters molecular processes that drive cellular immune activation and induce inflammatory cytokines,2 which in turn can increase pain. Water is an essential element to maintaining the body’s proper function. In fact, there are many benefits associated with drinking water aside from the basic need to stay hydrated. Water can help optimize energy throughout the day by nourishing your cells, keep the discs of the spine hydrated and even help modulate your calorie intake. It is also thought to help reduce chronic inflammation by reducing acidosis and keeping the body’s PH level in balance.